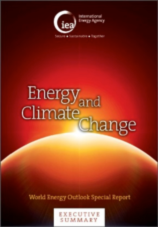 Energy efficiency has to be one of the key dimensions and it is now recognised as an energy source in its own right. "We can't afford to waste energy anymore" said Miguel Arias Cañete, Commissioner for Climate Action & Energy. Energy-efficient buildings, appliances and transport have the greatest potential for savings on energy and energy bills. Energy efficiency and a move from fossil fuels are both compatible with growth, said Dominique Ristori, Director-General for DG Energy, pointing to a 3 % growth in the world economy last year while global energy emissions remained flat. Better enforcement of EU legislation and consensus on binding targets are key drivers of more sustainable energy use, he added, with the active participation of consumers a must. The energy label framework will be adapted to be more reliable for consumers. MEP Claude Thurmes urged the Commission to set a more ambitious target for energy efficiency and renewables than only 27%. Fatih Birol, from The International Energy Agency brought hopeful news for the COP - climate 21, taking place in Paris, December 2015 as the IEA recent "climate change report" shows that governments worldwide are more and more active in energy efficiency and the energy industry as well is starting to engage. Today, the energy label is one of the best tools for informing consumers, nudging them towards efficient appliances and putting them in control of their consumption and energy bill. Also windows are being investigated to be labelled on their energy related performances. Very recently, the Ecodesign preparatory study has been finalised on a energy label for windows with shading. The EU Commission has now the initiative to make a proposal for further discussion by the consultation forum represented by member states, experts and the involved stakeholders for the products concerned. See ES-SO's position for an energy label for windows and shading. The procedure to adopt an energy label under the Directive will take nearly 5 years, thus not before mid of 2018. 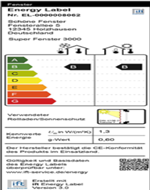 In the meantime, IFT Rozenheim in Germany has developed a voluntary energy label for the total energy balance (winter and summer conditions) presented by the window and the shading. ES-SO welcomes REHVA - the European HVAC (heat, ventilation, airconditioning) Association and DPSI, The Dynamic Passive Solutions Initiatives Association in Korea as new coming supporting members. Energy efficient buildings as a means to reduce CO2 and energy savings need to be considered in a holistic approach where different technologies such as shading and HVAC work together within a common framework to achieve the energy benefits. Countries outside Europe where solar shading is emerging are also very valuable to share knowledge, experience and to give mutual support. Since the launching of its new Position Paper 2015 ES-SO is working on the development of a European Product Database and on the ES-SO Academy training modules for its members. More info to follow soon. TNO – The scientific organization for the building sector in the Netherlands presented recently the outcome of a study on "extra savings by insulation with solar shading and roller shutters". The report showcases that the calculated savings on the energy consumption for heating by solar shading can achieve up to 17% for townhouses and 29% for apartments. Read the summary presentation. The effective control of light and glare: Glare control is a very important aspect of the visual comfort to which shading provide solutions. Let's keep the heat in! In winter time dynamic shading can be retracted to let in the free energy for daylight and heat through the windows giving an extra energy saving on the heating and lighting cost. The call for better enforcement of EU legislation in terms of compliance and reliability in the member states will lead to a second EPBD recast. QUALICHeCK, "towards better quality and compliance" and VENTICOOL, "the International Ventilative Cooling Platform" are both very important running European projects to provide the European policy makers the starting point for discussion on critical aspects of a new release of the EPBD. The second conference on compliance and quality of works for energy efficiency in buildings will be organised in Brussels on 4 September 2015. See the draft programme.